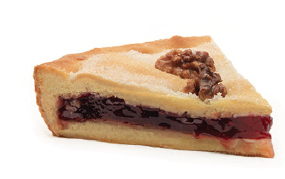 A cake of soft pastry, covered with nuts, enclosing a filling of delicious berries. Enveloped by the pastry, the berries retain their scent and give the dough. 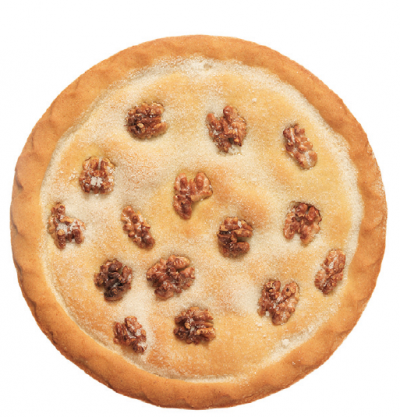 The taste and crunchiness of the nuts are the refined finishing touch that blends the sweetness of the cake. 00 flour, berries, red fruit jam, margarine (vegetable oils and fats, water, hydrogenated vegetable fat, emulsifier, salt, spices, citric acid), sugar, whole fresh eggs, sweet almond.